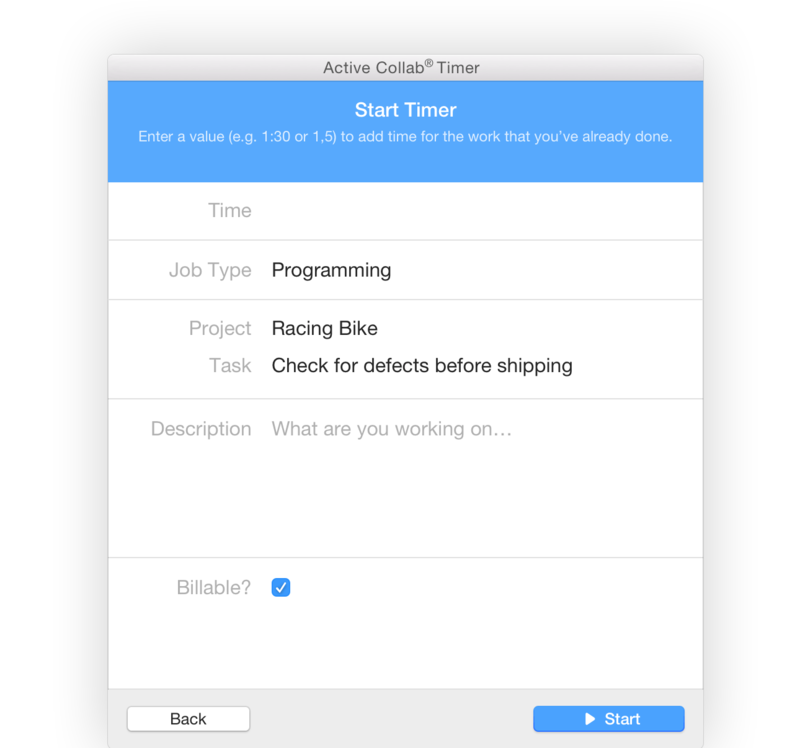 Track time with ease, right from your desktop. 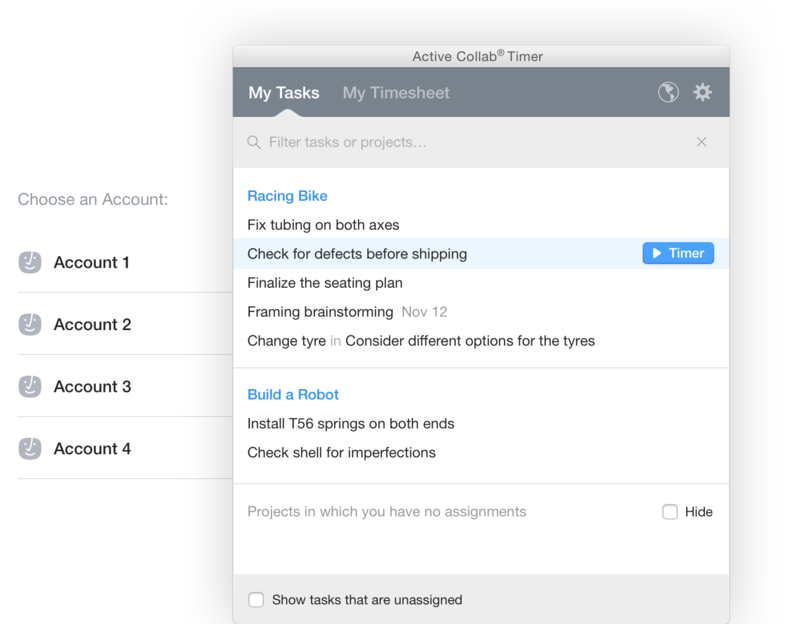 See how much time you've spent on a task, track time on multiple assignments and send your time records to ActiveCollab. 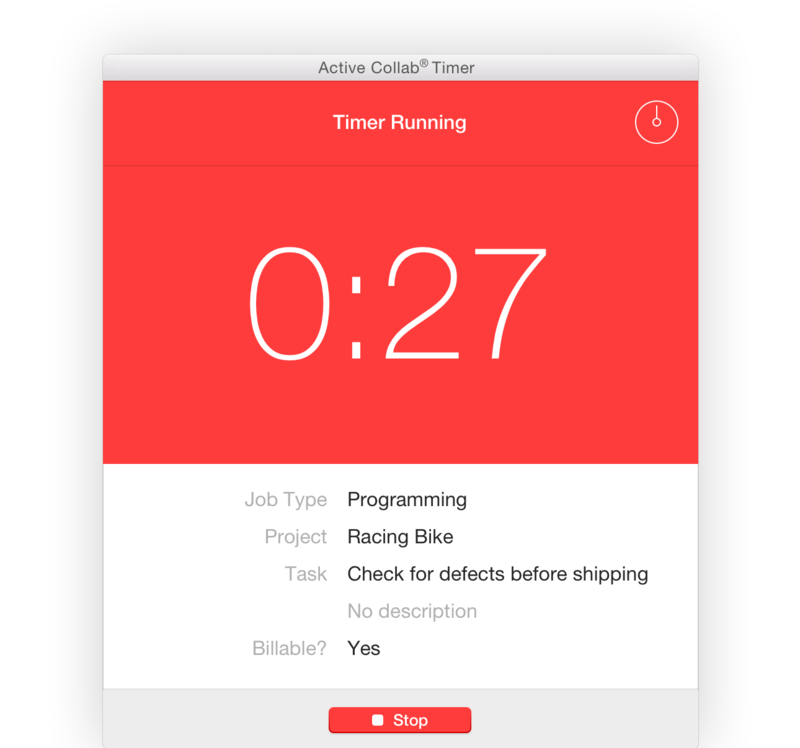 You don’t have to open ActiveCollab to see what you have to do - the Timer lists all your tasks in one place. Pick a task, press play, and stop when you’re done. The app can run in the background so it doesn’t distract you.